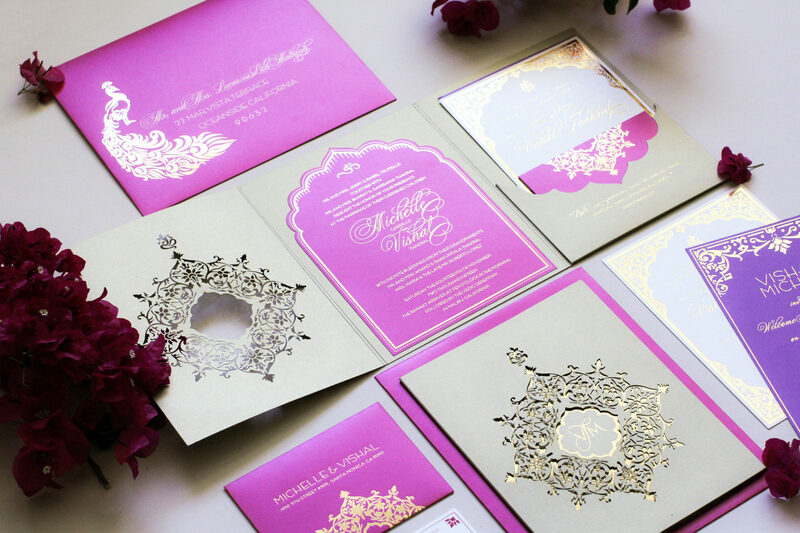 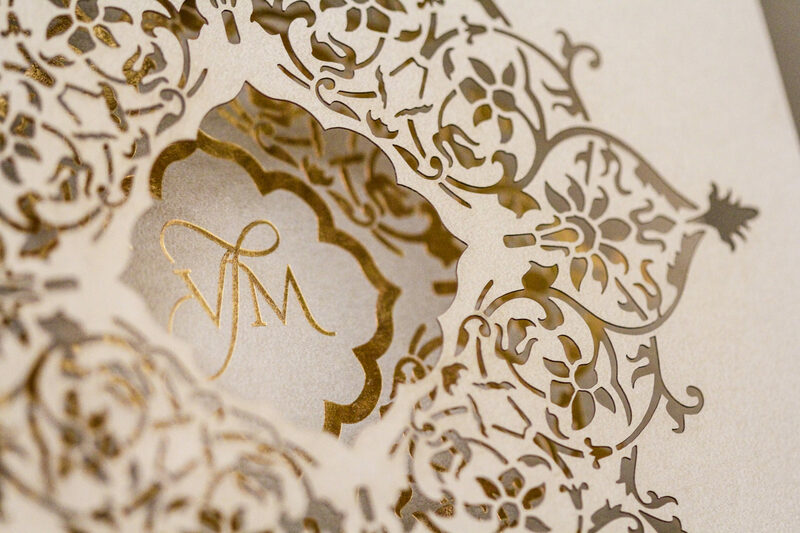 Inspired by the sublime motifs of Rajasthan’s famed palaces, this invitation features a laser-cut custom trifold folio and gold foiled monogram design and the interplay of silk, shimmer and cotton European papers. 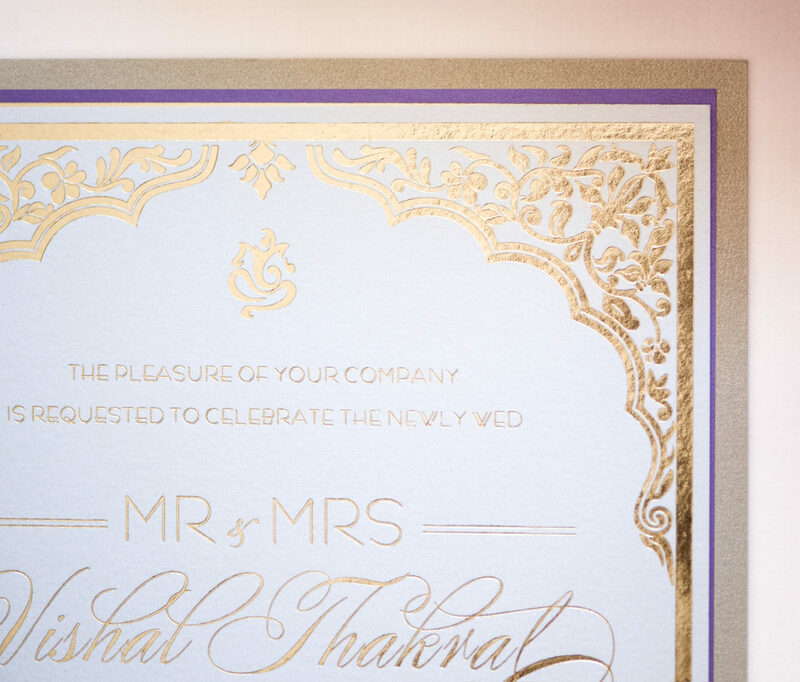 Created in Boganville pink and gold with a custom made tri-fold folio for Michelle and Vishal’s Cuban-Indian fusion wedding at Malibu Rocky Oaks Vineyard in Malibu, California. 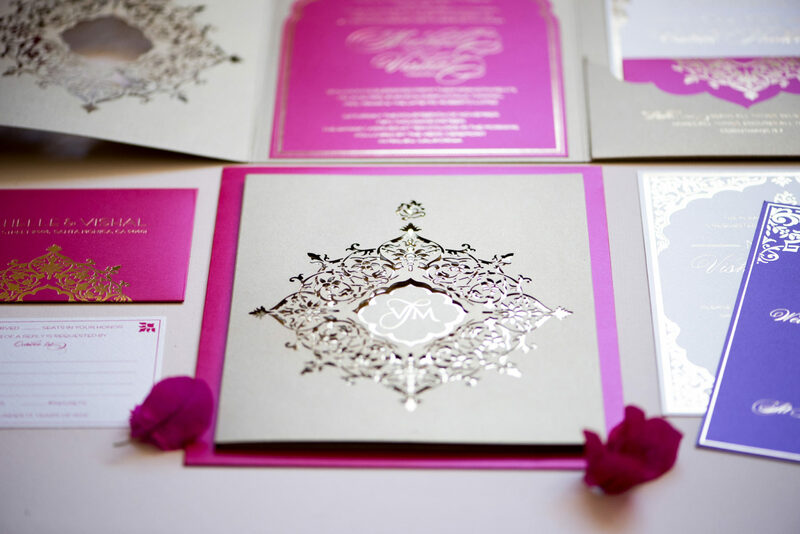 Created in emerald, cream & magenta in letterpress, gold foil and laser cut finishes for Ritu & Peter.